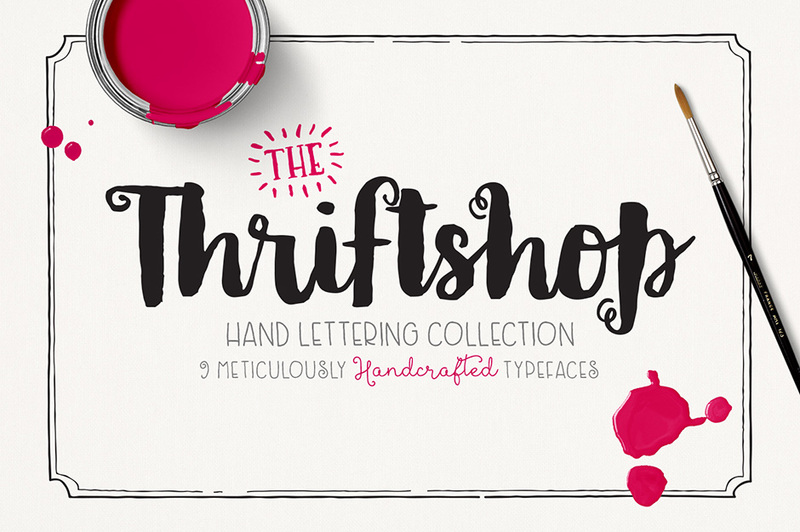 Presenting the Thriftshop Hand Lettering Font Collection – an adorable, hand drawn and hand painted font family, designed to give your projects an authentic, hand lettered look. Perfect for: Typography projects, branding, apparel, greeting cards, coffee mugs, tote bags and so much more. File size is approx 1MB (2MB unzipped), offered as a single download. A favorites/ wish list is a really great suggestion and is a very popular request within the community, so this is definitely already on our radar!